Cheju is the solo project of Wil Bolton, who also shares duties as head of Boltfish Records with Murray Fisher, who regularly officiates as MINT. Bolton relocated from London to peaceful Norfolk a couple of years ago and now operates from the more urban Liverpool. Following a debut EP in 2003, he has appeared on labels such as Percussion Lab, En:peg Digital, Laced Milk, Rednetic or Static Caravan. 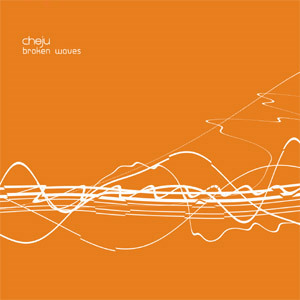 Cheju’s music is a sophisticated blend of clean melodic electronica, angular hip-hop beats and processed atmospheric textures. While Broken Waves is not Bolton’s first album as such, it is his more prominent release to date. Collecting twelve compositions, recorded over the course of three years and originally published on now sold out EPs for Static Caravan, Smallfish, Herb Recordings, Unlabel, October Man and Boltfish, plus three specially commissioned remixes, spread over just under eighty minutes, this album acts as a sort of retrospective of Cheju’s work and offers a perfect entry point to his catalogue. The album comes as a single CD and as a limited edition CD and DVD package, featuring videos for Data Packet and Object Not Found. Despite the time frame and the various track release contexts, Broken Waves is surprisingly consistent, and has a natural flow pretty much throughout. 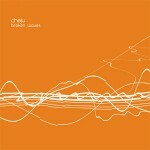 This is certainly a testament of Cheju’s integrity as an artist, and a clear manifestation of his musical persona. The sound is varied and rich, drifting from exquisite digital slicing (Traces, Pica) to lush atmospheric sound forms (Pachinko, Bracken) and evocative landscapes (Closing In, Data Packet), but the overall mood remains dreamy and, at times, cinematic, especially when Bolton toys with orchestral forms, on Blanchot, weaving together processed strings, subtle beats and ethereal melody. The three additional remixes, placed at the end of the album, continue on a similar mood, but also bring some new elements to the mix. The Reason Or Romanza remix of Casiotonic certainly does justice to the piece’s title by injecting some playful beats and sounds, while Electricwest turns Scattered into a haunting textural drone and Preston gives Bellflowerroot a truly heavenly feel, complete with warm analogue soundwaves and guitar motifs. Ever since it first appeared, Boltfish has always favoured beautiful melodic electronica. Cheju’s work sticks close to the label’s ethic and demonstrates here a strong sense for bringing textures, atmospheres and melodies together into beautiful pieces.